Kenyan gospel musician Mercy Masika is among guests invited to attend the National Prayer Breakfast in Hilton, Washington DC on Thursday 7, 2018. An excited Masika took to her Instagram page to express delight at the opportunity where she will be among many other dignitaries including US President Donald Trump. “It’s my first time in America and Senator James Inhofe invited me personally to attend the breakfast. It’s humbling to be recognized by such influential people,” she stated. Masika added she will get a chance to perform at the reception dinner on Thursday. “I am really excited; meeting and ministering to dignitaries from all over the world is a big deal for me,” she was quoted by Nairobi News. The musician will be sharing meals with global leaders and influential people at the breakfast and related events. The conference, which began on Tuesday, includes luncheons and dinners designed by the organizers to build relationships and deepen international ties. While touring the USA, she will also perform at the KCFA Community Service and CITAM church. 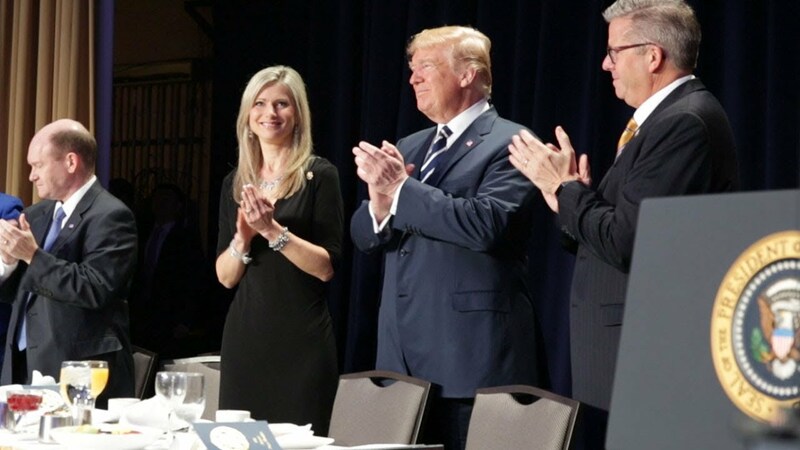 The National Prayer Breakfast is a yearly event held in Washington, DC, mostly on the first Thursday of February. It is a tradition that dates back and is significant in the US annual calendar attended by over 3,500 dignitaries from about 140 Countries. Mercy Masika will be attending the National Prayer Breakfast.